Welcome to Graceland Automobile Museum, Elvis’ personal car collection! Next to his music, Elvis Presley was also known for his impressive collection of cars. 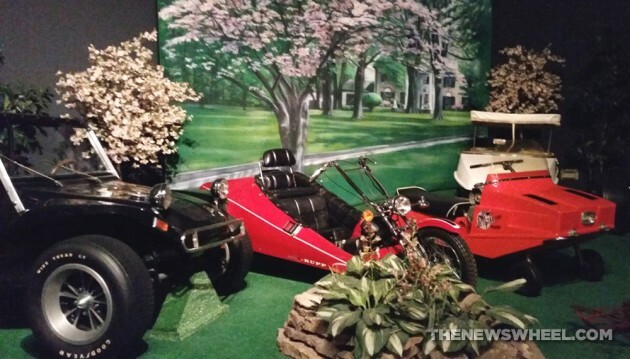 Visitors to Graceland in Memphis have the chance of seeing over 15 of his prized vehicles on display in the Graceland Automobile Museum. Directions: The Graceland Automobile Museum is part of the larger Graceland visitor complex, made of gift shops, restaurants, archive displays, and more gifts shops. It’s accessible via I-55 exit 5 off of Route 240. Follow Route 53 (Elvis Presley Blvd) south until you see signs for Graceland. Parking: The closest and most direct parking is in the official Graceland parking lot, which costs $8.75-$10.00 per vehicle (up to $15 for over-sized vehicles) and is fenced in. If you want to save money, there are some strip mall parking lots nearby where you can park for free and walk to Graceland. 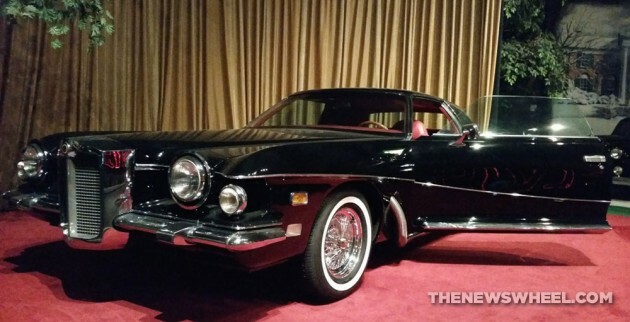 Cost: If you’re at Graceland, you’re probably not there for just the cars. The best deal is purchasing the Platinum upgrade on your basic Mansion Tour. For only $4.00 more, you’ll get access to the Automobile Museum and nearby archive exhibits (total cost: $40.00). 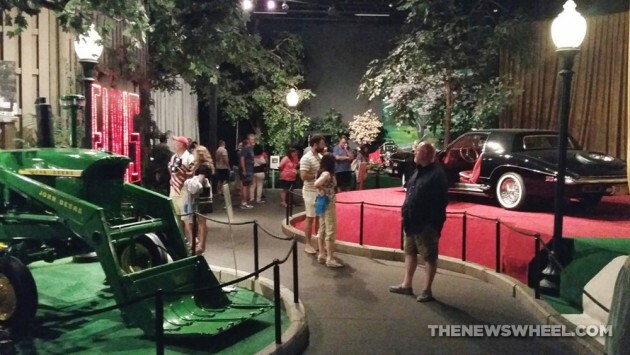 By itself, admission to the Automobile Museum costs about $12. Student, senior, and AAA discounts are all offered. Reservations: No reservations needed or accepted for visiting the museum. 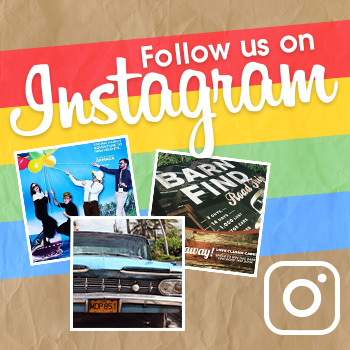 Rules: Photographs are welcome but flashes cannot be used on indoor exhibits. Pets are not allowed, and you cannot touch the cars–obviously! Handicap Accessible: The Automobile Museum is a single-level building without steps. Visitors in wheelchairs or walking braces are able to enter and browse the museum at their leisure. Experience: Upon entering Graceland and purchasing your admission ticket, head to the far end of the “mall” away from the mansion boarding queue. After passing the restaurants, you’ll arrive at the last entrance on the strip–the automobile museum. The self-guided tour takes visitors past displays and placards explaining the vehicles’ history and Elvis’ ownership. A central seating area in the large, one-room museum loops a montage of clips from Elvis’ movies. The museum exits into a gift shop. If you’re visiting Graceland, it’s probably not for the vehicles. 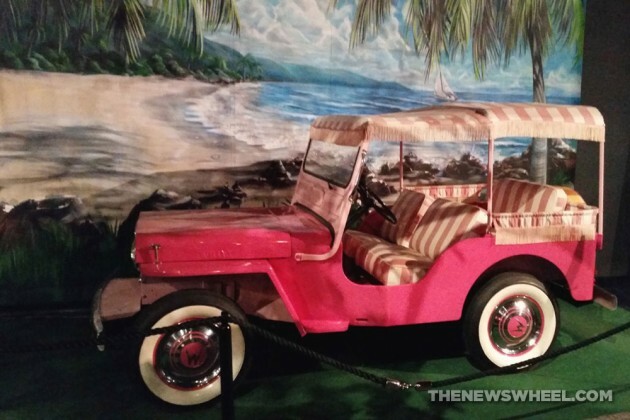 The Automobile Museum isn’t a destination in itself–its small number of exhibits pales in comparison to the legions of models in other car museums–but it’s a nice addition if you’re already planning on visiting Graceland for the mansion tour. By itself, the car collection is not worth the admission cost, but the Platinum package is worth the upgrade cost. The decor is great, using fake foliage/trees, benches, and soft lighting to appear like a walk in a park. The building doesn’t feel like a typical sterile showroom. The models are decently lit (cameras that do poor in low lighting won’t like it) and kept very clean. When I visited, the pink Cadillac wasn’t there (on tour in the UK) so if seeing a certain model is a make-or-break aspect, you’d better call in advance to confirm. Don’t forget to get some Memphis BBQ on your way out of town!